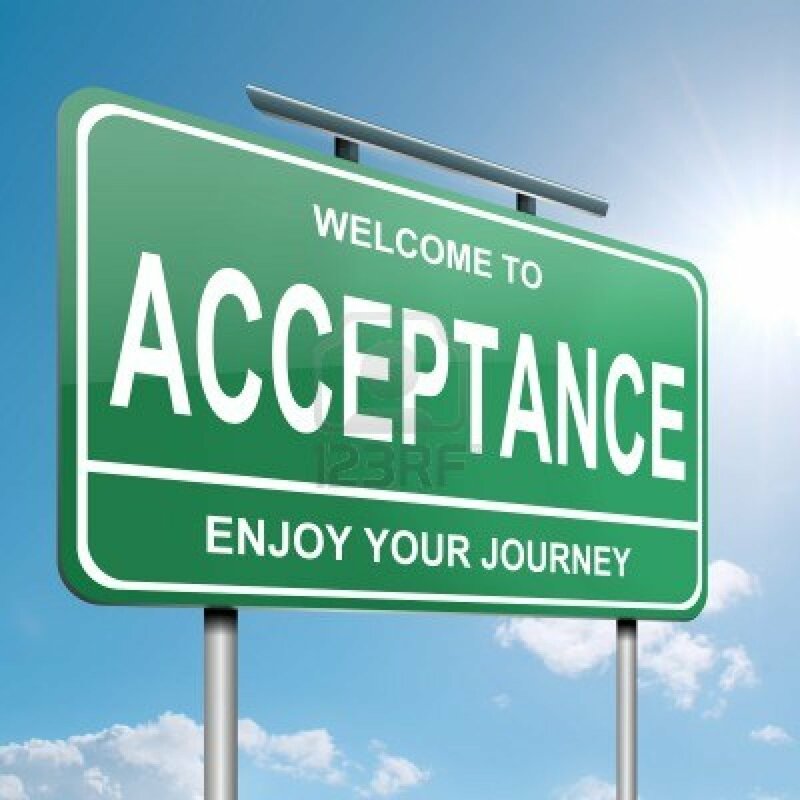 When you realize your child is a little different from the others, there's a place you eventually have to get to called "Acceptance." It takes some people longer than others, but eventually you have to make peace with what is - the reality. Not everyone in your circle of friends and family will get there at the same rate or ever in some cases. You also have to accept this. I think there are many changes in people's life cycles that trigger this sort of stuff, but it's harder to deal with when the people you think you can count on most let you down. I lost friends when I got married. I lost friends when I started my own business. I lost friends when my dad died. It doesn't mean I'm a horrible person for living my life the way I want to, and dancing to the beat of my own drum. It means not everyone can handle the stress, or the changes. It says more about them than it does about you. It means they lack the faith (or will) that they have the strength to support you and are too embarrassed to admit that and ask how they can be of service. Or they're just too selfish. Or they have enough on their plate and can't deal. It doesn't really matter. The ones you need will stay. Because with all these major life changes, you change. And if you stay authentic to the experience, you let it strengthen you instead of hurt you. It means you start to prioritize and make choices about who you will allow with you on your life's journey and who saps more energy from you. You set boundaries, you set goals, you stop taking any BS. If it means you have to stop talking/cut ties, then do so, because as in the words of Sweet Brown, "ain't nobody got time for this!" Acceptance is also about understanding that some people won't change. 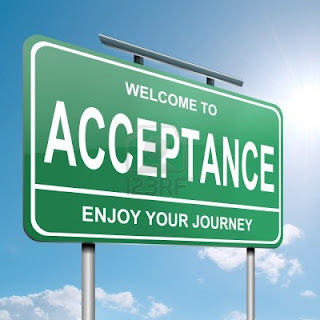 Acceptance means we no longer live in fear of rejection. We have confidence in ourselves and know we are on the right path. I accept that not everyone is on the same path and not always going to be on mine, but I trust the right ones will be there when I need them.